The hunt for a one-of-a-kind find can be as much fun as displaying the piece in your home. An oil from a local artist, a desk from the 1800s, a piece of ornate silver, or a side table with a history all its own—whatever you’re searching for there’s no shortage of shops and purveyors to assist you. Turn the page for our exclusive guidebook to the state’s best selections. A good antique will always hold its value and even appreciate if it is truly an “investment” purchase. An investment antique will have clues to determine its worthiness. 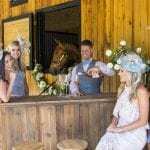 For instance, always note the basic construction: there should be obvious, hand-made joinings, pegs, and possibly square, hand-forged nails or saw-tooth strips of wood used for shelving which would most likely be hand-hewn. Find a good antique dealer you can trust and learn even more regarding its history to determine if it’s a worthy investment for you. 1/ Where did it come from (i.e., what region specifically)? 2/ What woods were used in construction? 3/ What is an approximation of when, as the French say, the antique was “born”? 4/ Note escutcheons and hinges, if there are any on the piece, and pull out a drawer to examine it closely; is it dovetailed, or obviously joined? These can be age and craftsmanship clues, which can help determine value. 1/ The early bird gets the worm! Arrive a little before the show opens to be one of the first in line so you don’t miss out on the best finds. 2/ Bring a shopping tote or cart with some packing material so you won’t have to carry multiple bags. 3/ Have a small notebook on-hand or use your phone to record the booths where you purchase items. You can leave your larger items with exhibitors and come back later so your hands are always free, and you don’t have to make multiple trips to your vehicle. 4/ Wear comfortable shoes. This is obvious but so important. You’ll most likely spend at least a couple of hours at an antique show to see everything, so you need to be comfortable! 5/ Bring cash. Cash is king when it comes to getting the best price for your finds. 6/ Download the eBay app on your phone. If you find an item that you or the exhibitor are unfamiliar with, you can try different search terms to learn more about the piece. You can also determine a little about the value of the item as well, but I wouldn’t suggest relying too heavily on the eBay selling price because condition, design, edition, shipping, and other characteristics may come into play that can skew the value of items. Cleaning: We recommended dusting with a soft cloth. Avoid using cleaners with silicone; over time these will cause a film-like build up on your furniture. If you want to use a cleaner, look for one that is silicone-free. Small Scratches and Knicks: These are inevitable with normal wear and tear over time. I’ve found the best way to remedy this is with a furniture touch-up marker. They come in a variety of tip sizes and colors, so you can match the width of the scratch and the wood color on your piece. Be sure to test the color on an area of the piece that is not highly visible, and keep a rag close by to wipe it away if it’s not a match. Many furniture stores and antique dealers have these markers in stock. I recommend keeping one on hand for a fast fix. Larger Scratches and Restoration: Pieces with scratches that are deep into the woodgrain, that have a thick build-up or are cracked may need to be restored by a professional. We have been operating a full-service restoration and refinishing shop for almost 50 years, and I think we’ve seen it all! Many times people think a piece is too far gone to be saved, but we can match broken carvings, give a piece a new finish, and replace leather tops on desks and end tables. When we restore a piece, we do our best to make it ready for another hundred years. Antique Alley Arkansas Antique Show 505 East Oak Street, Conway, (501) 230-5728, antiquealleyarkansas.com Held at the Conway Expo Center, this show (which will take place the first weekend in November and three times in 2016) offers the opportunity to shop booths from more than 200 vendors. 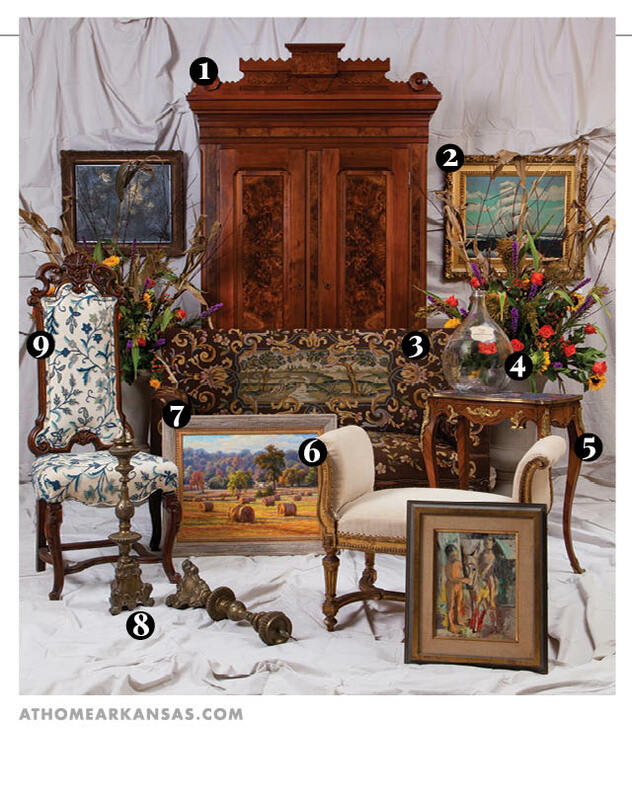 The Antique Co. 1408 Rebsamen Park Road, Little Rock, (501) 666-0339 Direct importers of fine antiques from across the world and a go-to source for some of Arkansas’s most unique antiques. Antique Warehouse of Arkansas 9256 Highway 65 North, Botkinburg, (501) 745-5842, antiquewarehouse.com Shop 90,000 square feet of antique furniture, collectibles, and framed stained glass. Blue Goose Antiques 3660 North Front Street Suite 3, Fayetteville, (479) 443-2664 This new shop specializes in antiques, vintage wares, decorative paints, and gifts. Debi Davis Interior Design 2222 Cantrell Road, Little Rock, (501) 221-2032, danddinteriordesign.com A trusted source for European antiques and architectural fragments; the team can also reinvent any antique find to create a modern-day treasure. Ellen Golden French Antiques 5701 Kavanaugh Boulevard, Little Rock, (501) 664-7746 You’ll find art, antiques, and decorative pieces at this beloved shop in the heart of the Heights neighborhood. 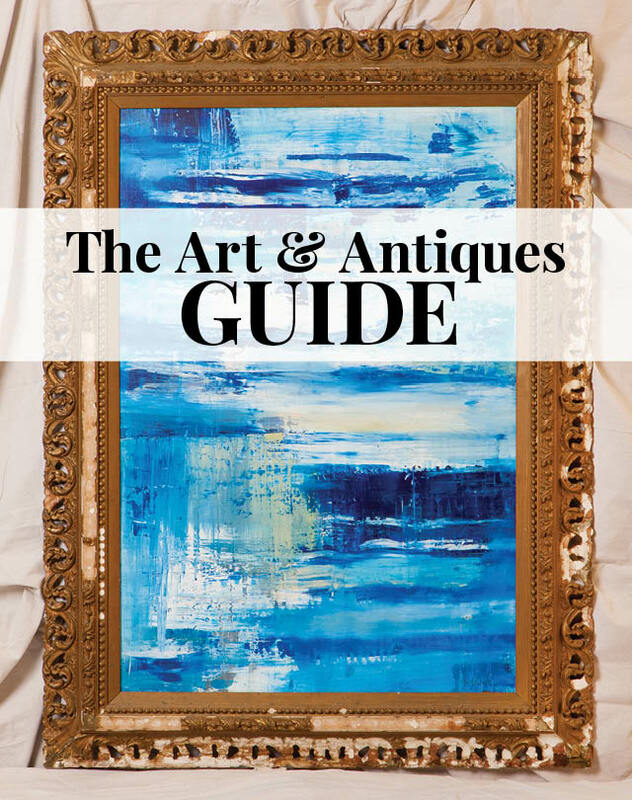 Fabulous Finds Antique and Decorative Mall 2905 Cantrell Road, Little Rock, (501) 614-8181, fabulousfindsantiques.com Visit more than 40 thoughtfully curated booths with everything from silver and jadeite to armoires, chests, and serving pieces. French Metro Antiques 200 West Dickson Street, Fayetteville, (479) 587-0804, frenchmetro.com One of Arkansas’s best sources for all things French. From large armoires to small collectibles, this quaint antique shop is a must-see. French Quarters 11 North Block Avenue, Fayetteville, (479) 443-3355, french-quarters.com Direct importers of fine French and European pieces from the 18th and 19th centuries. Shopping here is a fun experience with a definite French flair. Jenifer’s Antiques 1003 West Oak Street, Conway, (501) 764-1311, jenifersantiques.com From primitive and rustic to Victorian and mid-century pieces, the booths at this downtown shop are stocked with a variety of styles. Kahler Payne Antiques 700 North Van Buren, Little Rock, (501) 663-0608, kahlerpayne.com Shop a wide collection of vintage, estate, and antique pieces. Marshall Clements 1509 Rebsamen Park Road, Little Rock, (501) 663-1828, marshallclements.com An established central Arkansas shop known for impeccable quality pieces that will add character to any space. Morris Antiques 50 Antique Way, Keo, (501) 842-3531, morrisantiques.com A true warehouse of antique-and-vintage finds, featuring 60,000 square feet of French, English, and American furniture, decorative items, and collectibles. Painted Tree Vintage Market 24351 I-30, Bryant, (501) 205-1330 A vendor-supplied marketplace filled with decorative elements from antique to current-day. 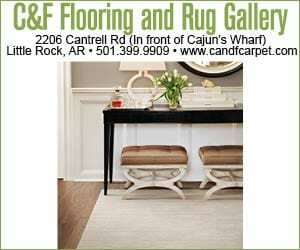 Providence Design 2212 Cantrell Road, Little Rock, (501) 372-1886, providenceltddesign.com Specializing in French country style, this full-service design firm also offers an ever-evolving stock of inventory. Roy Dudley Estate Sales 3721 Cantrell Road, Little Rock, (501) 666-5856, roydudleyestatesales.com Known for amazing estate sales—often featuring prized and highly collectible pieces—in both homes and at their Design District warehouse. Rustonia Estate Sales and Consignments 9809 West Markham Street, Little Rock, (501) 519-1555, rustoniaestatesales.com Offering estate sale and consignment pieces in a range of styles. clement. / Sweet Home Furnishings 1324 South Main Street, Little Rock, (501) 296-9198, sweethomefurnishings.net A distinctive mix of antique, vintage, and modern pieces for the home. Tillman’s Fine Antiques and Estate Jewelry 118 Central Avenue, Hot Springs, (501) 624-4083, tillmansantiques.squarespace.com A Hot Springs staple featuring rare jewelry and collectibles. Fine European antiques, many with unique historical backgrounds make stopping here more than just a shopping experience. Art is extremely personal. At Art on the Green, we always encourage our buyers to select pieces they love that they would want to pass on to friends and family. Our artists’ work is created from their hearts, not a copy of another’s work. Because our gallery has a diverse group of artists and because they don’t do “assembly line” art, anyone who visits can expect to browse a sampling of authentic and inspirational pieces that have been created over time. For example, we can’t expect William McClanahan’s work to be created in a day or a week. William will sometimes need a year for a single painting. 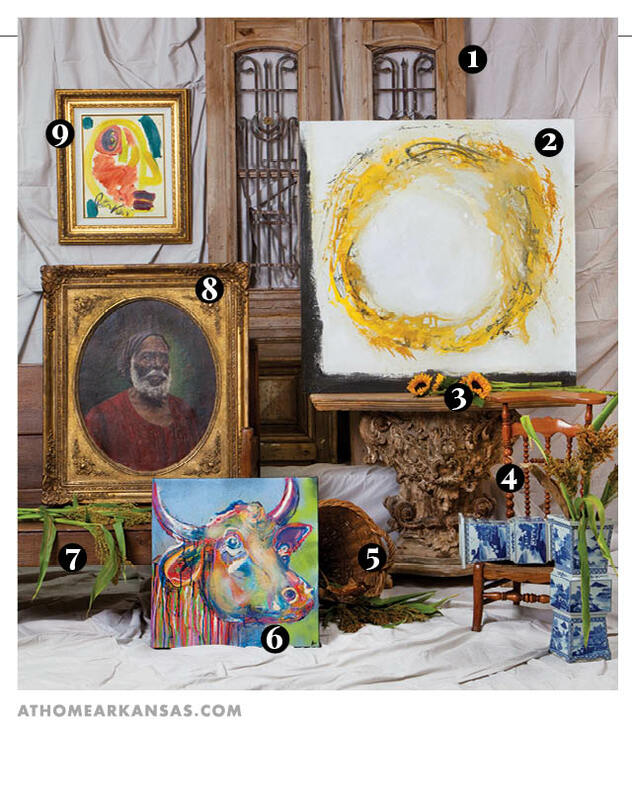 That’s part of what makes it so brilliant and attractive to Arkansans who desire to own a piece of art created in the state. 1/ Choose a frame that enhances the piece of art and don’t worry about matching other frames or décor in your home. 2/ Size matters. Consider using large mats with a 3- to 5-inch border whenever possible. It will help to pull the eye into the art and makes the art look important. 3/ Keep it simple. Sleek and clean lines are on trend, and this helps show off your art. I like to use mats that are cream, white, or light colored. This makes your art very user-friendly if you change your mind on where you want to display it. 4/ A lot of art now is painted on gallery wrap canvas. We have very simple, sleek floater frames that can showcase the piece and give it a finished look. These frames will also help to keep the canvas from bowing or warping during temperature changes. DON’T Expose your painting or other works of art to moisture and heat. This is especially not good for works on paper. It can cause warping of the wooden stretcher bars on canvas pieces. DO Wrap your works in a thin piece of plastic sheeting. DO Store works on paper (that are not mounted or framed) by laying them flat with paper or velum between the pieces. DON’T Store or—even prop—paintings in a front-to-back fashion. This can scratch and indent the paintings. Always store or lean them face-to-face or back-to-back. When you’re considering a place in your home to display artwork, keep these points in mind. DON’T Position the pieces where they will be exposed to direct UV light. It is not good for 2D art, such as paintings or works on paper. For example, I don’t recommend hanging art in a place where it will receive direct sunlight most of the day. DO Consider your composition. When I hang art in my gallery or in my own collections, I like to use abstracts as visual breaks between realism pieces. DO Consider adding art lights that are either mounted to the piece or on tracts on the ceiling to illuminate the work. Recessed spotlights are also a great look. Alison Parsons Fine Art 802 Central Avenue, Hot Springs, (501) 625-3001, alisonparsons.com Showcasing works by Parsons featuring Hot Springs’s landmarks, flora, fauna, and abstract imagery as the subject. 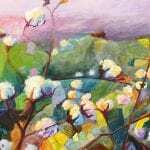 Art on the Green 1100 Bob Courtway, Suite 1, Conway, (501) 205-1922, artonthegreen.net An art gallery devoted to showcasing the works of internationally acclaimed artists in the heart of Conway. Boswell Mourot Fine Art 5815 Kavanaugh Boulevard, Little Rock, (501) 664-0030, boswellmourot.com Featuring art by local, national, and international artists for the established or emerging collector. Cantrell Gallery 8206 Cantrell Road, Little Rock, (501) 224-1335, cantrellgallery.com Featuring art by over 30 established and emerging local/regional artists. Drawl Southern Contemporary Art 5208 Kavanaugh Boulevard, Suite 5, Little Rock, (501) 240-7446, drawlgallery.com Represents a selection of the best emerging and established artists from—and/or working in—the American South. Gallery Central 800 Central Avenue, Hot Springs, (501) 318-4278, gallerycentralfineart.com Offering paintings, sculpture, and glass works from a number of Arkansas artists. Greg Thompson Fine Art 429 Main Street, North Little Rock, (501) 664-2787, gregthompsonfineart.com A gallery specializing in the genre of Southern regionalism and in the works of prestigious modern artists of the 20th Century. Justus Fine Art Gallery 827 A Central Avenue, Hot Springs, (501) 321-2335, justusfineart.com Exhibiting a wide range of styles and media from the work of outstanding established and emerging artists. Poor Richard’s Art Gallery 101 West Walnut, Rogers, (479) 636-0417, poorrichardsart.com An artist collective featuring original art and fine craft pieces. Sara Howell Gallery 405 South Main Street, Jonesboro, (870) 935-6336, sarahowellgallery.net Offering glass, jewelry, paintings, and other works of art. 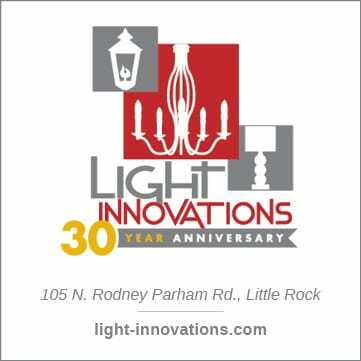 The Showroom 2313 Cantrell Road, Little Rock, (501) 372-7373, theshowroom.us.com Providing art, mirrors, and custom framing to the central Arkansas area for over 29 years. White Goat 1008 Oak Street, Conway, (501) 504-6643, 5624 R Street, Little Rock, (501) 603-9460, whitegoatstyle.com Custom art from local artists that appeals to almost any age. A colorful palette reigns throughout this boutique making their personally selected art feel right at home.